My siblings and I were raised by our grandparents. Grandpa, a carpenter, and Grandma, a watercolor painter, moved from Hoboken, NJ in the early 70’s to a farm outside of New Hope, PA because Grandma was magnetically drawn to the up-and-coming artist colony feel of the area. An original “Martha Stewart” before Martha Stewart was a thing, my grandmother was always finding excuses to celebrate life. 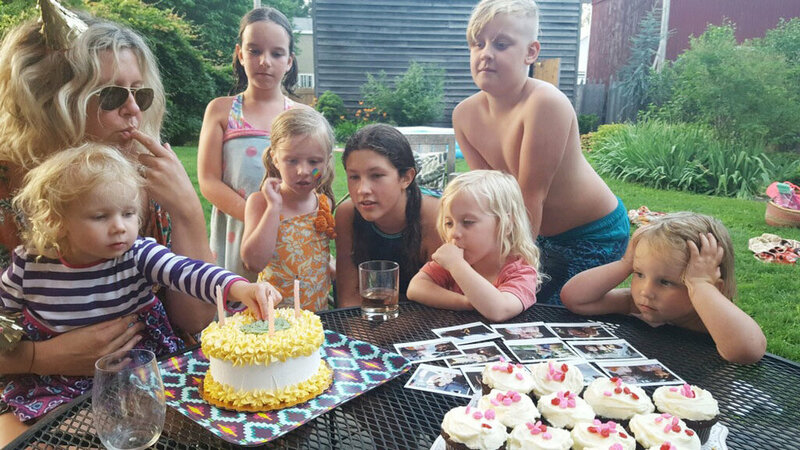 Birthdays, holidays, even when someone died - it was a celebration. As a young girl, I was integrated into the routines of my grandmother’s daily life and privy to her most intimate rituals of celebration in even what could be considered the most mundane circumstances. One ritual of hers, in particular, has always stuck with me. 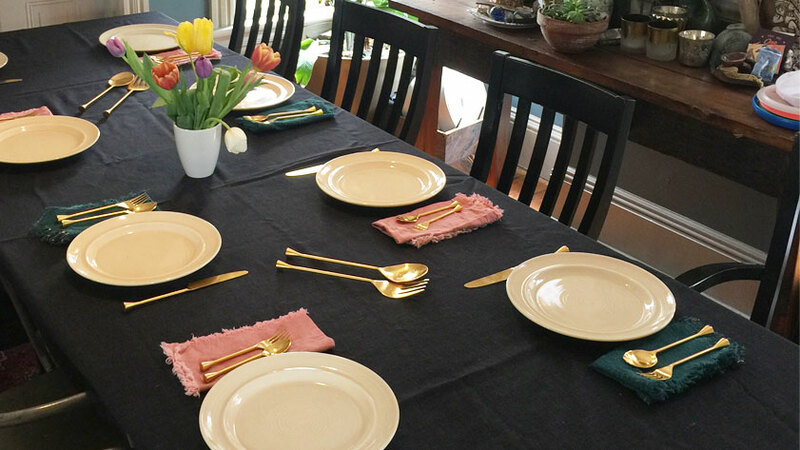 Each night, Grandma would make sure that dinner was ready and the table set handsomely. Right before Grandpa arrived home she would go upstairs to change her clothes, sit in front of a mirror, do her makeup, fix her hair and lightly pat her neck with powder from a beautiful, ebony glass jar. I can still smell the scent of it- sweet with a touch of rose. I recall asking her why she was doing that, and her simple response was "Because it makes me feel good!" What an important and inspiring answer this was for my eight-year-old self to hear. Over the years I’ve adopted my own, modern version of this in my home - while I most often will not be in fancy clothes and makeup, our family does have dinner together at the table, each night. And we do make it a point to celebrate life in all the small ways that we can. Perhaps most importantly though, as a woman, a mother, and a business owner who specializes in making people feel good, I’ve learned there is nothing more essential. A woman who feels good within herself, sets the tone for her household. If she cares for herself and is happy, her house is happy. When households are happy, the world is a better place. Celebrating my 40th with a bunch of munchkins! My grandmother’s evening ritual of love toward herself and consequently toward our family, was special to us, but not unique. Women and men all over the world have been practicing rituals of this kind since the beginning of time. Rituals that make people feel good are rituals that endure, because they work. There is magic in their practice and power in their effect. We all have rituals that we perform every day - some may be beloved rituals passed down from parents or grandparents - and some, most likely, are rituals that go by without us even noticing. If we take a moment to reflect on the different little pockets of activity throughout our day we just might find a landscape rich with opportunity to incorporate purposeful rituals of love into our daily lives. This, in essence, is the inspiration behind our new Euphoria Ritual Boxes. Helping others to provide more opportunity for more conscious pauses and more loving self-care feels like a vital mission in my life and is also a way for me to honor the memory of my grandmother and the important rituals she shared with me. As many incredible, diverse rituals have been passed down from countless grandmothers for centuries, over the next few weeks I'll be exploring and sharing with you different rituals from Japan, Morocco, South America and other places around the world that have impacted my life, and other rituals that inspire, intrigue and interest me - along with their significance and meaning to the cultures that traditionally practice them. My hope is that together we can discover the power of ritual and reap the benefits of consciously cultivating more love into our daily lives.